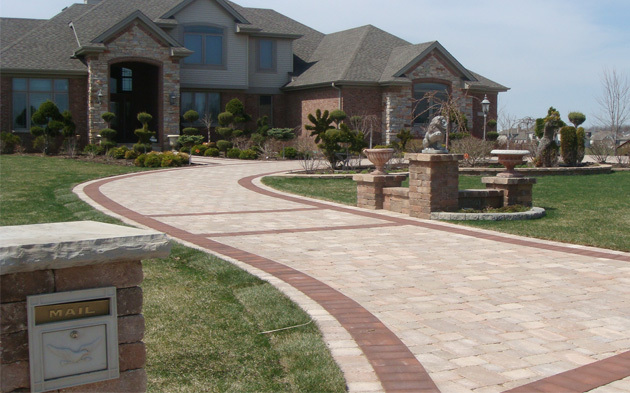 Drive up on a smooth brick paver driveway similar to this one. Cozy up together with this beautiful outdoor fire pit and sitting area. 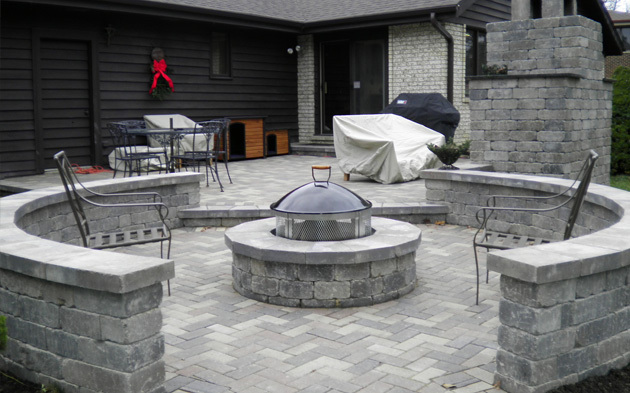 Gambino Landscaping and Brick Paving, Inc. is family owned and operated and has been serving Northern Illinois for over 40 years. We have the answers to all of your landscaping needs. Our primary goal is to provide exceptional craftsmanship, customer service, and innovative designs to exceed our customers' expectations. Is your lawn in need of some TLC? We offer a wide variety of lawn care services from Spring and Fall cleanups to fertilization, weed control, power raking, and core aeration. From modest patios to elaborate retaining walls, we are your authorized Unilock dealer and installer. 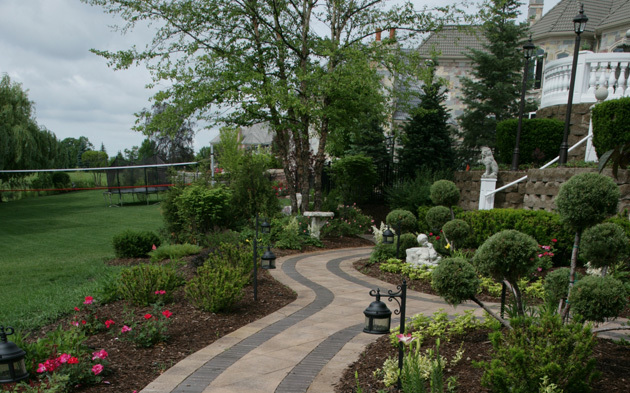 Click here to learn more about the wide variety of brick landscaping we offer. Whether you are a homeowner looking to decorate or a business looking to dress up your facility, Gambino Landscaping can help from design and layout to installation and maintenance.